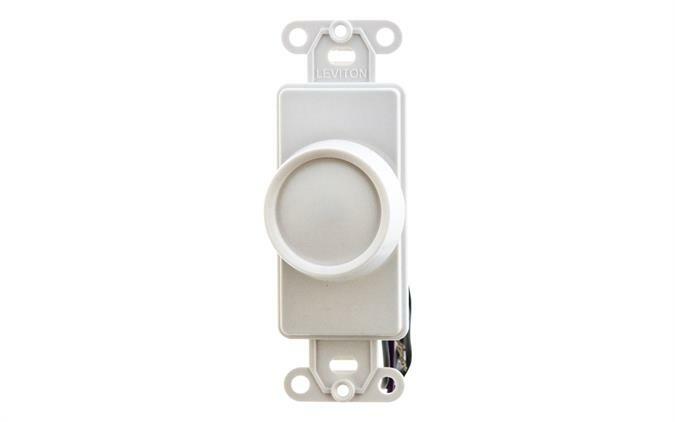 Install this dimmer control into the wall as you would a light switch and control our dimmable LED panels with the ease that you can find from any typical dimmer switch. One Dimmer unit can dim up to ten LED lights via 10v PMW signal sent to the LED divers. PMW signal is digital and can be effected by electromagnetic fields and distance. Each installation is different and function in all environments cannot be guaranteed. White ABS plastic with printed circuit board, ABS wall box and ABS cover with IR window for remote. LED function indicator.